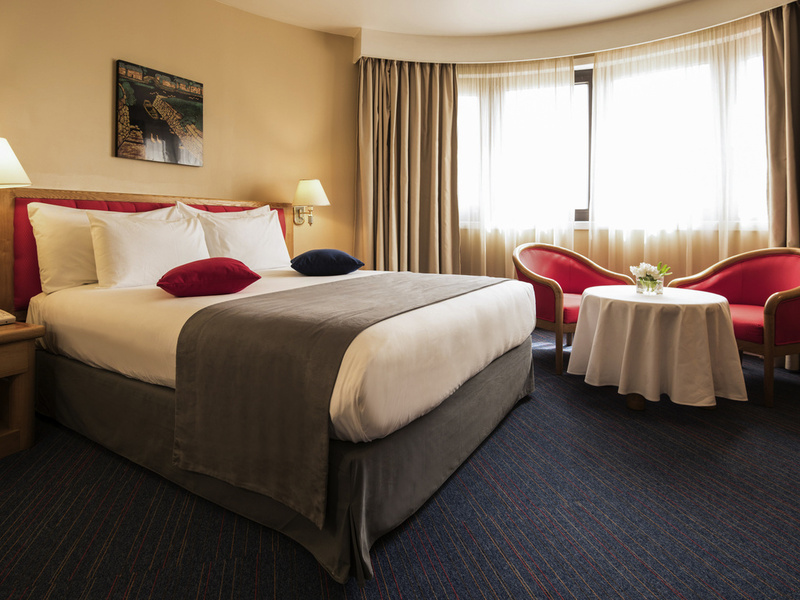 The Mercure Alger Aéroport hotel is located 5 minutes from the airport, 20 minutes from the city center and 10 minutes from the SAFEX Pins Maritimes exhibition center by highway. Welcome office at the airport and free shuttle service to domestic and inter national terminals 24 hours a day. The hotel has 307 rooms including 92 non-smoking room, 3 restaurants, 2 bars, 9 meeting and banqueting rooms, outdoor swimming pool, fitness center, sauna, hammam and 2 tennis courts. A relaxing place to enjoy a cocktail in a pub atmosphere. Located right in the heart of the hotel, this is the ideal place to meet for a refreshing drink whilst enjoying the various types of music in the background.